LUZIRA – Luzira based side Maroon FC host relegation threatened Ndejje University at the Prisons Ground on Tuesday afternoon. In their last encounter, Maroons won 3-2 against by then new league entrants at Luwero. Maroons FC are fresh from defeating URA 1-0 courtesy of Brain Majwega’s lone strike while Ndejje lost to Police FC 1-0 in their last game. Maroons will most likely maintain Emmanuel Akol in goal after that staller performance against URA. Winger Brian Majwega, Samson Mutyaba, Maxwell Okello, Emmanuel Olinga, Felix Okot, Ronald Orombi, Solomon Walusimbi, Seif Batte, Herman Wasswa Nteza, Yubu Bogere and January signing Isaac Otto are all expected to be part of the match day squad. Raymond Timothy Komakech, the head coach at Ndejje University who are still second from bottom, boosts of Vipers’ on-loan goalkeeper Eric Kibowa, defenders Issa Mubiru, Edward Kabona and skipper Ronald Odokonyero, Noel Nasasira, Robert Eseru, Francis Onekalit, Anwar Ntege, Emmanuel Wasswa and others for inspiration. 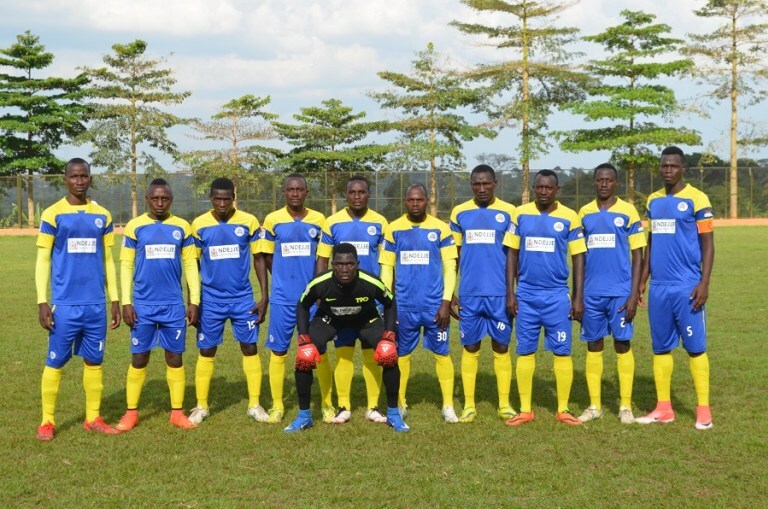 Ndejje University has never won away from home, their only two victories in the league coming at their Arena of Visions in Luweero, against Mbarara City and Paidha Black Angels. Both clubs are meeting for the second time in the topflight with Ndejje having graduated to the topflight last year.